Before getting into the specific names on the list, it’s worth considering some contrarian perspective from different sources. First, here is an interesting chart from A Wealth of Common Sense about contrarian opportunities in emerging markets (if you don’t know, emerging markets are significantly underperforming the US lately). It seems being a contrarian with regards to emerging markets has historically paid off, but of course past performance is not indicative of future results. Hartnett explains that “Interest rate hikes from the Fed and other central banks will have a significant impact on growth that may not be anticipated in the markets.” And he advises investors to focus on inequality, innovation, and immortality; and that these would benefit pharma companies, technology disruptors, and inflation plays. These will all three be key point later in this report as we get into the top 10 list. And of course there are myriad false positives, when investors are searching for a reason to believe the bull market should end, perhaps such as the Hindenburg Omen, as is intelligently dissected in Jeff Miller’s recent article: Hindenburg Omen Flashing Red, Is It Reliable? “Investors looking for an alternative to gold can consider investing in the energy sector to shield themselves from the wealth-eroding effects of inflation. 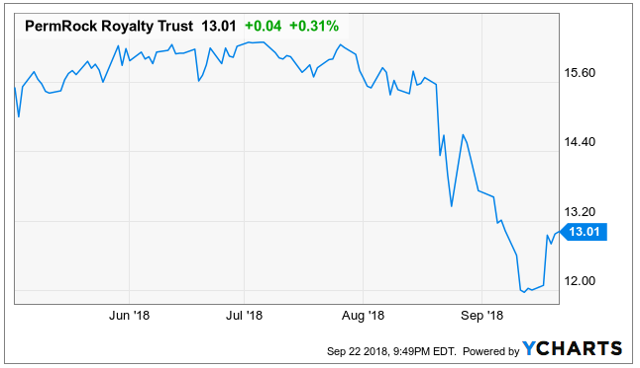 One way to get exposure to the sector is PermRock Royalty Trust (PRT), which just started trading earlier this year. Not only does PermRock pay a big monthly yield of 12.1% (albeit a variable), but the price has recently sold-off. And although we have not yet taken a position, PRT’s big monthly yield is increasingly tempting, especially after the recent sell-off. If PermRock is a little too esoteric for you, you might be interested in more blue chip opportunities, such as “Dogs of the Dow,” which is a contrarian strategy by nature whereby an investor invests annually in the Dow Jones stocks with the highest yields (the assumption being, that Dow Jones companies don’t alter their dividend to reflect trading conditions and, therefore, the dividend is a measure of the average worth of the company). One attractive Dog of the Dow, in our opinion, is Procter & Gamble. Not only is P&G worth considering because it is a Dog of the Dow, but it also has a large exposure to non-US operations (emerging markets, in particular), which have been underperforming lately, and may be due for a rebound, as we described earlier in this report. We also recently did a more detailed write-up on P&G for our members, and it is available here. 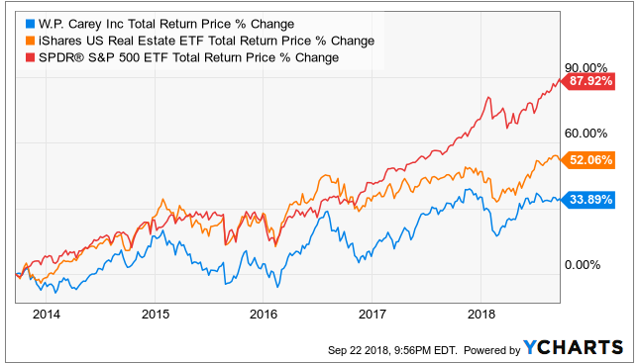 Considering REITs rely heavily on borrowing to grow their businesses, you might not think they’re the most attractive investment sector right now, considering the current rising interest rate environment. However, there remain some attractive opportunities, on a case-by-case basis, such as WP Carey REIT. One of the common misconceptions among many cash-flow and income-focused investors, is that they should only buy securities that offer bid dividends. The problem with this is that they often end up overly concentrated in only the few highest yielding sectors of the market (i.e. they’re risks are too concentrated). One way to address this is through attractive equity closed-end funds, or CEFs. 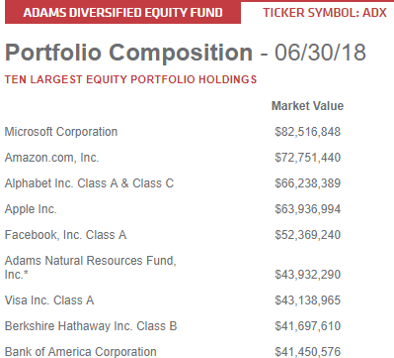 For example, the Adams Diversified Equity Fund (ADX) has been paying a high yield for over 80 years, and it does so by carefully managing a portfolio of investments diversified across many market sectors. The fund relies on a combination of dividends and capital gains to generate the high yield it pays to its investors, and this can be an attractive high income diversifier within an income-focused investment portfolio. Here is a look at the recent top holdings, and it’s not what you’d expect from such a high-yielder, but it is a good way to get some high-yield diversification into your portfolio. A few of the things that make ADX particularly attractive are its relatively low management fee, the fact that it trades at a worthwhile discount to its net asset value (you’re basically buying the underlying securities at a discount to their market price), and its big year-end distribution is right around the quarter (ADX pays smaller distributions in the first three quarters of the year, followed by a large one in the fourth quarter). We own ADX, and we’ve written in more detail about it, as well as several additional equity CEFs we currently own, in this members-only report. If you can’t handle the volatility of common stocks, you might want to instead consider preferred shares; they generally don’t offer the same price appreciation potential as common shares, but they’re usually considerably less volatile and often offer considerably higher yields. Bonds can be very scary right now, considering as interest rates rise, bond prices fall, all else equal. And even scarier than individual bonds are bond mutual funds because not only do they face the threat of rising interest rates, but the unpredictability of fund flows can cause forced selling (at unattractive prices) whereby everyone invested in the fund pays this unfortunately price. On the other hand, closed-end bond funds (or CEFs) don’t have to deal with the forced selling issue (because they’re closed-end). This is just one of the reasons bond CEFs can be attractive. And to add another Bond CEF for you to consider, we also own shares of the BlackRock Credit Allocation CEF (BTZ), not only because it is closed-end, but also because it has an attractive strategy that is actively managed, it offers a high yield, and it trades at an attractively discounted price. More information is available about BTZ on the BlackRock website here. We also wrote about this CEF here. Income-generating options trades are a strategy that some cash-flow focused investors like to use. For example, selling out-of-the-money put options on attractive securities that you’d like to own for the long-term can generate attractive income. We like to sell put options on such securities when market volatility is higher because the added uncertainty in the market increases the premium income available for selling the puts. Omega Healthcare: Near-Term Danger, Long-Term Prospects, And How We're Playing It. Further, we actively monitor a variety of attractive stocks upon which to sell income-generating puts, and our readers can view an example of those details in this recent members-only report which is included in the members-only version of this article (see link near the end of this report). We like to keep readers posted as we come across more of these ideas, as they are often time sensitive trades. The goal is to help familiarize you with the strategy so you can start identifying the opportunities on your own, as they arise in the market, if you so choose. The shipping industry often attracts a lot of interest from income-focused investors because many of these companies offer a variety of high-yield common stock, preferred shares, and debt. For example, we already reviewed Tsakos Energy Navigation’s preferred shares earlier. And Ship Finance International (SFL) is another high-yielder worth considering, in this case the common stock. Ship Finance International Ltd. (SFL) engages in the ownership and operation of vessels and offshore related assets, and is also involved in the charter, purchase, and sale of assets. Its assets consist of oil tankers, dry bulk carriers, container vessels, Qs car carriers, jack-up drilling rig, ultra-deepwater drilling units, offshore supply vessels, and chemical tankers. 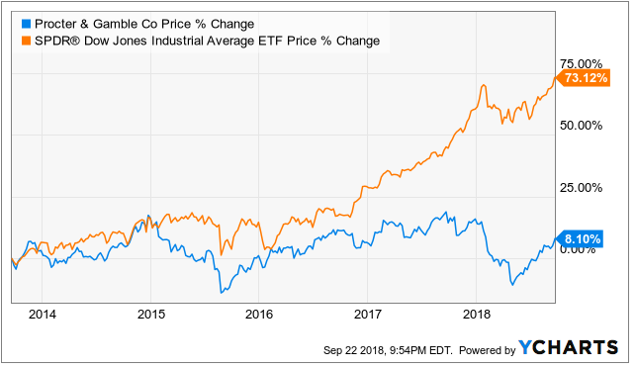 Many investors are avoiding income paying securities, such as bonds, because they know rates are rising, and as rates go up, debt-related instruments generally go down in value. One way to reduce the risks of rising interest rates is to invest in securities that offer floating rate payments to investors. For example Nuveen’s floating rate CEF, JRO. The Nuveen Floating Rate Income Opportunity Fund (JRO) has a main objective of achieving a high level of current income. The fund invests at least 80% of its assets in adjustable rate loans, mainly senior bank loans secured by specific collateral. And if you like buying high income when it is on sale, consider investing in JRO now. In the following link, we explain JRO’s attractive qualities, as well as the risks. If you like a high level of income with some protection against rising rates, JRO is worth considering. Also, worth mentioning, we continue to own a very attractive floating rate preferred stock from Teekay LNG (TGP-B). We wrote about this one in detail earlier this year (see the report linked below), and we continue to own the shares.